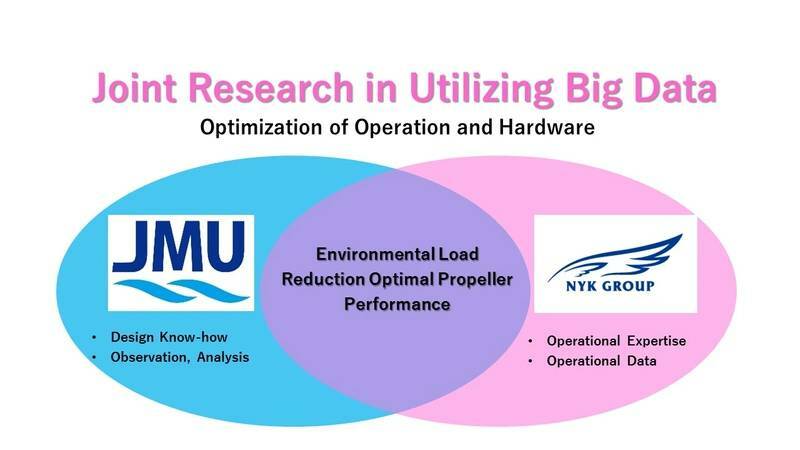 Nippon Yusen Kabushiki Kaisha (NYK), MTI Co. Ltd., and Japan Marine United Corporation (JMU) have successfully developed a highly efficient propeller by analyzing the conditions surrounding vessel propellers in actual operation. This new propeller will be installed on two newly built containerships that will be delivered in 2019, and will achieve a 1.2 percent reduction in carbon dioxide (CO2) emissions by improving fuel efficiency. The propeller plays a major role in the propulsion of a ship, and computer simulations and test tanks are used to create an ideal shape, but the actual water flow around the propeller of an oceangoing vessel can be rather complex. The three companies involved in this project felt that a vessel’s environmental loads could be further reduced if they could accurately monitor the condition of an operational propeller on an oceangoing vessel and then design an optimal shape based on the results. The three companies then analyzed* the condition of a propeller in operation on an oceangoing vessel. Afterward, they confirmed that the simulation data matched the actual conditions to a high probability. The highly reliable simulation was then used to achieve further optimization of propeller design and thus improve fuel efficiency. A report on this initiative can be found in the February 2018 issue of the journal The Naval Architect, the principal magazine of the U.K.’s Royal Institution of Naval Architects. The three companies will also present their findings at the Hull Performance & Insight Conference (HullPIC) in the U.K. in mid-March. In collaboration with shipping companies and shipbuilders, the three companies will continue to make use of their expertise to contribute to the realization of a sustainable society through the provision and operation of vessels demonstrating excellent environmental performance. The analysis was conducted by observing the cavitation and measuring the flow velocity around the propeller. Cavitation is a phenomenon in which air bubbles are generated when the pressure in a liquid suddenly drops. 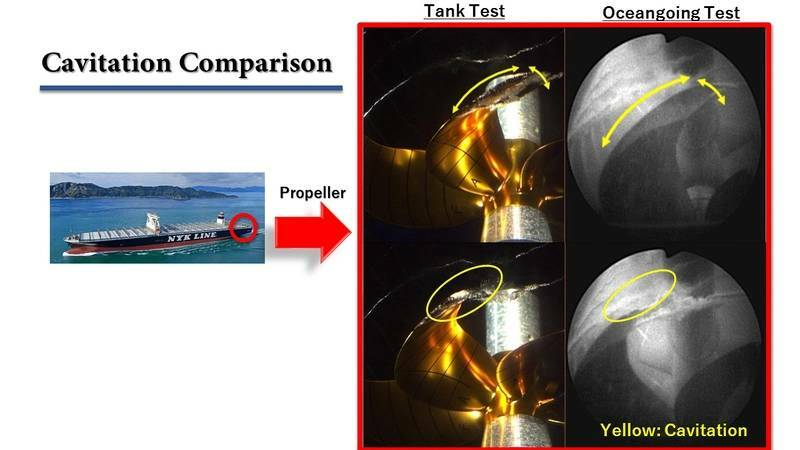 Excessive cavitation on the propeller blade causes ship vibration and leads to erosion of the propeller.